Binary IT has proudly demonstrated itself as the best IT consultant in Sydney, Australia. From clients to business challenges Binary IT has proved its capabilities and ability. Our unique history with national know how has given us unpredictable advantage on our competitors. We offer supervised, planned and accurate consulting services to strengthen the bond between technology and human being. We deploy our people to explore the unconventional and discover indigenous solutions. 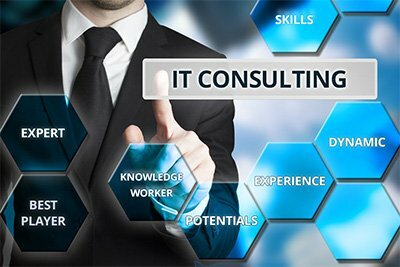 Our scope as IT consultant is flexible, cost-effective and can be customized, according to business needs and requirement to help you to move forward. There must exist a proportional relation between business application and value of business. Treating organization application as portfolio and applying portfolio management practises quantity’s each application value. Three fundamentals are highlighted to meet the benefit realisation approach. Change rigid IT project management to business programme management. Convert to proper portfolio management. Opt for full cycle governance instead of traditional project cycle. “Focus on solution instead of admiring the problems “Sis precisely what enterprise worth management is about. Binary IT classify the challenges on three levels i.e Strategy, Planning and Managing to deliver measurable and manageable IT chunks. Our designed frame work absorbs the full potential of organization assets. Contact us for more business and service enquiries.